The paper following this commentary was produced by a Georgian national for the well known American think tank, Jamestown Foundation. The paper's main topic of concern is the new political realities of the energy transportation corridor of the south Caucasus in the aftermath of the Russian-Georgian war. The paper essentially discusses what I have been saying since the summer of 2008: The war between Russia and Georgia changed the geopolitical face of the Caucasus and has allowed Moscow to become the dominant power in the region as a result. This topic is a crucially important political matter for us Armenians to comprehend in our attempt to better understand what is currently occurring between Ankara and Yerevan and in international relations in general. 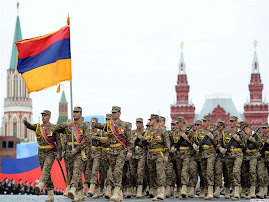 From an Armenian perspective, despite what the author of the paper would like us to believe, it can rightly be said that the political climate in the Caucasus today has changed in Armenia's favor. This change is essentially forcing Western powers as well as Turkey and Georgia to sit at the negotiating table with Yerevan. After years of ignoring and by-passing Armenia with all their regional projects, now they miraculously want to hear what Yerevan has to say about regional matters. 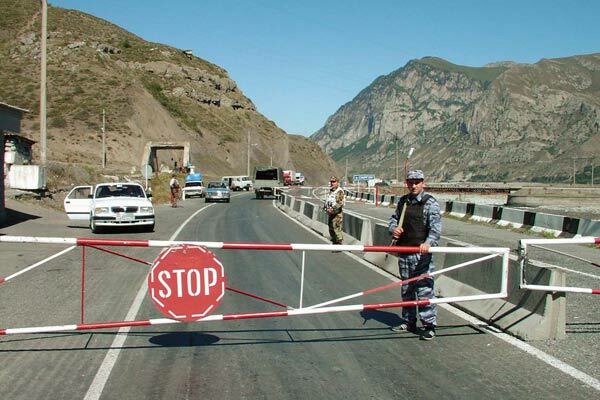 Just recently, immediately following Mr. Sargsyan's successful visit to Georgia, authorities in Tbilisi announced the opening of their border with Russia, a vital trade route for Yerevan which had been closed for the past four years. As expected, Saakashvili, a "political corpse" now, has been made to heel in front of his victorious Armenian counterpart. I personally think Saakashvili's time as president is running out. Gradually Moscow is preparing its playing field in the south Caucasus, and I am glad to report that Armenia today is a major player in their game. With whirlwind tours of Moscow, London, Paris and Tbilisi, Mr. Sargsyan has enjoyed a series of significant diplomatic successes as of late. And the most recent success was the official recognition of the Armenian Genocide by Sweden's parliament (see article at the bottom of this page). The action taken by Stockholm is in essence the continuing punishment of Turkey for turning away from its military run secular government. Under Erdogan's leadership Ankara has been moving towards Islam and relations between Ankara and Tel Aviv have been at an all time low. As a result, Ankara is being punished. Since Washington can’t afford to do it directly, it is allowing other governments to send the message instead. Spain may be next to send a message. The August 2008 war in the Caucasus revealed the new strategic realities that have emerged in the Black Sea / Caspian Region in recent years. These realities have been driven by overly ambitious Russian policies and have weakened Western strategic interests in the region. The conditions created immediately after the war appeared more favorable to Russia and less favorable to other nations in the region, most notably Armenia, Azerbaijan, Turkey, and Ukraine. But the world economic crisis and its impact on Russia, as well as the Russia-Ukraine gas dispute in January 2009, have diminished Russia’s gains and further damaged Russia’s reputation as a reliable energy supplier to Europe. In the long run, Russia may face very serious problems of separatism on its own territory due to Russia’s recognition of the breakaway provinces of Georgia. Given these uncertainties, it may be natural to expect that there will be stronger drive to get away from: 1) dependency on Russian energy in Europe; and 2) dependency on Russian transit infrastructure in Caspian /Central Asia region. In the long run, that may be reflected by Russia’s weakened strategic position in Europe and Central Asia. The August war in Georgia demonstrated some risks associated with the functioning of the transit energy corridor in the southern Caucasus. It also demonstrated the need for broader security guarantees for a region that is vital to European and global energy security. The most important finding of the paper is that while the corridor has a tremendous potential to augment its transit capabilities with new pipelines, railroads, marine and air ports, the security of the South Caucasus transportation corridor cannot be taken for granted. Moreover, Western countries will need to ensure stability and security in the region in order for the corridor to meet its full potential. The Russian invasion of Georgia established new strategic realities in Eastern Europe and Central Eurasia. It was the culmination of Russia’s impressive comeback in Eastern-European and Central-Eurasian affairs that has occurred in response to high energy prices, a weak US strategic position, European division and uncertainty in Turkey’s strategies. The war made clear that Russia is willing to use force to deepen and promote its interests, while western powers are not. This fact was predictable, but not certain to some. The war in Georgia helped firmly establish this reality and may also indicate that even NATO members may not be fully protected by their commitment to that organization. As the Russia-Georgia conflict demonstrates, military force has once again become a major factor in Russian foreign policy. Nevertheless, economic provisions and energy incentives are still the primary tools employed by Russia to further its foreign policy interests abroad. At the same time, the weak Western response to Russia actions may send the wrong signal to the Russian leadership about the level of freedom it has to use force in what Russia considers its sphere of influence. Furthermore, the weak economy and the declining popularity of Russian leaders may create internal instability within Russia and tempt Russian leaders to once again utilize force to further their objectives. Europe and the United States need to carefully consider their policy response to such scenarios. Another major finding of this paper is that energy is an important factor in the stability of any country and, in Georgia’s case, domestic energy security is also the foundation for stability of transit, and development of the entire regional infrastructure. The physical damage to the infrastructure and the environment in Georgia as a result of the war was tangible but not large. The damage to Georgia’s transportation system is repairable in a relatively short period of time. The pipelines are gradually approaching pre-conflict volumes of the oil and natural gas shipments although the shipments via railway, ports, and air have all shown signs of decline. Instead, the key problem emerged with the malfunctioning of the largest energy facility in the country - the Enguri hydro power plant. The reservoir for the power plant is located on Georgian-controlled territory while the actual electricity production plant is located on Abkhaz/Russian controlled territory. The Georgian leadership had to make a very difficult political decision in accepting the offer of the Russian company Inter RAO (the subsidiary of the giant Russian state-owned energy monopoly Inter RAO United Energy Systems (UES)) on joint operation of the power plant. While there is a positive history of activities of the Inter RAO UES in Georgia, the Russian state-owned company’s control of a key electricity supplier for the entire country is not the best political and economic security outcome for Georgia. Lastly, the paper argues that the initial damage that the war inflicted upon the political reliability of the transit corridor is gradually diminishing and that new opportunities are emerging. The complete reversal of this damage can be possible but will depend on U.S. and EU policy, the role of Turkey, internal stability in the Caucasus region, and Russian policy in Central Asia and the Caucasus. It is important to remember that when the initial decision to revitalize the energy corridor through Georgia and Azerbaijan was made in the mid 1990s, the security environment was extremely difficult and there was no infrastructure to support shipment of oil through the corridor, yet leadership of the United States and Turkey supported that decision and helped to implement it. Today’s environment is much more favorable considering the functioning infrastructure and greater demand for Caspian energy. New natural gas discoveries in Turkmenistan and the next stage in oil and gas developments in Kazakhstan and Azerbaijan will require additional export capacity and a tough battle is ahead between the different export options, each supported by state sponsors with competing interests. It is significant in this context that Kazakhstan and Azerbaijan signed an agreement on November 14, 2008, to develop a Trans-Caspian oil transportation that will include onshore oil pipeline in Kazakhstan and a tanker fleet in the Caspian Sea to ship Kazakh oil to the Baku-Tbilisi-Ceyhan (BTC) pipeline and on to the world markets. As it was indicated at the Budapest summit devoted to the Nabucco pipeline project on January 27, significant progress has been made on the development of a natural gas link between the Caspian and Europe, and Georgia has an important role to play. These developments indicate that the energy producing countries of the region are determined to seek the diversification of export options, but they need to be supported by the United States, and in particular European, NATO, or Turkish security guarantees. After all, Western Europe and Turkey are the major consumers and beneficiaries of Caspian energy resources. On the second anniversary of the Russian-Georgian war Yulia Savchenko talked about the consequences of confrontation and conflict lessons with Paul Goble - political scientist, a former specialist on ethnic minorities the U.S. State Department, and now a researcher with the Diplomatic Academy of Azerbaijan. Yulia Savchenko: This is the second anniversary of the Georgian-Russian conflict of 2008. Different people have taken different things from this conflict. What do you think Georgia has learned from the conflict? Paul Goble: Different people in Georgia have learned different lessons. Many, except perhaps the president, understand why the conflict happened. On the eve of the fighting, he clearly showed that he had misinterpreted the rules of the game in the international arena as well as misinterpreted remarks of the US President and Secretary of State. He interpreted their statements that the US always supports its friends as meaning he could do whatever he pleased. Since that time, he has used the threatening posture of Russia to distract attention and silence his opponents. Whatever else, Georgia in the future needs to show more creativity in dealing with the new environment than it did earlier. Others have learned from the conflict. Russia’s neighbors now can see that Moscow is not constrained in showing who is the boss in the region even to the point of using force. No one thought that was the case, but now these countries have no guarantee that it won’thappen again. This has changed their perception of their own defensive needs and of Russia more generally. That is only one of the ways Russia suffered as a result of the war. While Vladimir Putin and his team have proclaimed their victory, many Russians recognize that his decision was ill-conceived as well The Russian army did not do well, with poorly trained soldiers shooting at each other. As a result, Russia does not look as strong as it did. Instead, it looks like a weak bully. That is a very dangerous situation for any country to be in. JS: And what this conflict has taught the United States? PG: The US certainly has learned a few things. Perhaps first of all, we have had the lesson driven home that when we deal with other countries, we must always be sure that our statements are not misinterpreted. Clearly Saakashvili heard things from Washington that Washington did not in the end intend. U.S. policymakers need to be clear about what the US will and won’t do, regardless of a desire to show oneself supportive and friendly. Another lesson I hope we have learned is that Moscow today is not prepared to live by the rules. To go forward, Russia will have to work hard to reassure the US and others that it will behave as countries are supposed to. JS: Two years ago, after the clash between Russia and Georgia, you testified that you support the principle of national self-determination. Do you think the Obama administration will follow this advice, especially in the wake of the International Court’s decision on Kosovo? PG: I believe in the right of nations to self-determination. I believe that Abkhazia has demonstrated its ability to translate this right into reality. The situation regarding South Ossetia is much more problematic both because of the existence of North Ossetia, its own relations with the Russian Federation, and its geographic position as a kind of dagger aimed at Tbilisi. In many respects, the step that would most disturb Moscow would be if the West and the US in particular were to recognize Abkhazia and South Ossetia. Imagine what it would mean if 27 NATO members had embassies in Sukhumi. That would open the question of the recognition of republics now north of the Russian Federation border. I do not exclude such a development. It would be more interesting if Georgia has recognized Abkhazia. Abkhazians, of course, would likely seek to find a way to prevent that if only because of the obvious undesirable consequences for Moscow. Consequently, it won’t happen soon. But if these states remain recognized only by a few states, this will be the beginning of an era in which there may be many partially recognized states. Thinking ahead to the tenth anniversary of the conflict, I hope that at that time we will be able to discuss this crisis more soberly with fewer comments about Russian aggression, more foreign embassies in Abkhazia. I don’t know whether an American one will be among them, but some kind of reconciliation of all parties is likely, if only because living in a world where all past crimes are constantly at the center of attention is so very difficult. Putin and Medvedev had just settled into their new political leadership roles. 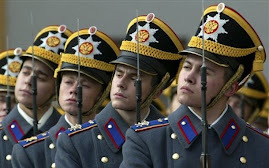 The whole world remained in expectation of a new impulse towards modernization in Russia by the liberal Medvedev. The West decided to postpone the plan of greater NATO expansion to the East, keeping Ukraine and Georgia on the waiting list. In Poland and the Czech Republic the opposition against the US missile defence system had increased. Washington and Moscow were not arguing about the Iranian Nuclear program any more. Medvedev promised Ukraine that mafia structures should be destroyed and that gas business should get more transparent. The US presidential campaign had begun and it seemed that Obama, the candidate of the Democratic Party, planned new peace initiatives towards Russia. Poland and Lithuania put a veto on negotiations, concerning a new partnership agreement between the EU and Russia. Analysts were speaking about a new era of thaw characterizing the relationship between Russia and the West. But then everything occured very fast. Over the night of August 7th/8th 2008, during the opening of the Olympics Games in China, a new war in the Caucasus started. The world was shocked. Instead of sporting competitions, the main attention of all the news was devoted to rolling tanks, to waves of refugees, and to bombed cities and the many dead. Nobody could believe it: the small Georgian “David” provoked (challenged) the Russian “Goliath”. Parallel to the war events, a propaganda battle was sparked by all the sides to an extent never seen before. At that point, it was not clear what exactly was happening on the south side of the Caucasian mountains. The information was confusing and contradictory. Who was the offender? Who was the victim? Were there several truths? 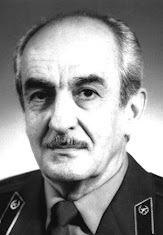 The fact is that there had been a running conflict on the border of the Georgian heartland and the breakaway republic of South Ossetia for many years. Since the civil war between Georgia and South Ossetia in 1991-2, there had been both Russian and Georgian troops along the border. However, Russia was not seen as playing the role of an honest mediator, adding fuel to the conflict by issuing Russian passports to the inhabitants of the breakaway republic. In addition, Russia was charged with letting the Ossetians arm themselves to the teeth and shell Georgian peace-keeping troops and neighbouring Georgian villages unhindered. The north of South Ossetia is actually isolated from Russia by the Caucasian Mountains. However, there exists the so-called Roki tunnel, which was hewn out of the mountains about 50 years ago. The tunnel is the main economic supply-route from Russia to the breakaway republic. 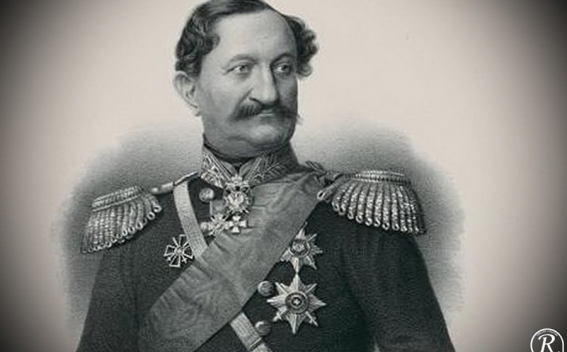 Georgia considers the self-proclaimed government of South Ossetia to be a smuggler regime. On the horror night of August 7th-8th, the Roki tunnel played a decisive role for the outcome of the war. 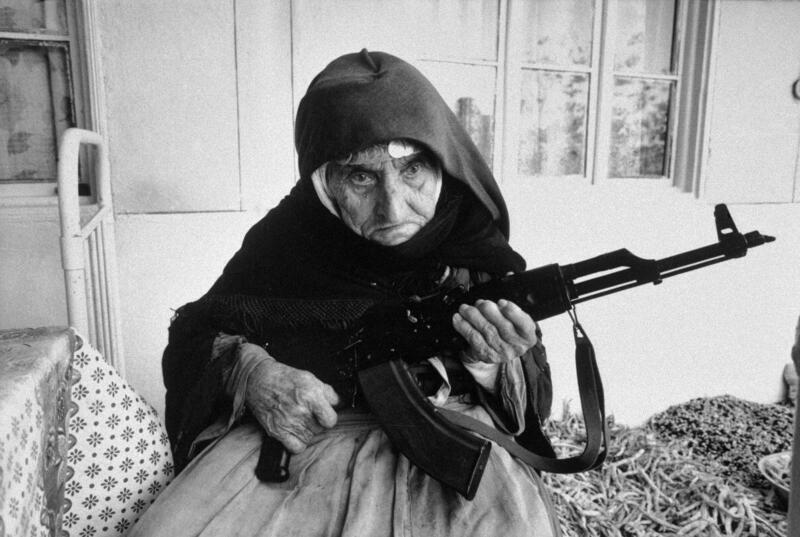 On the pretext of protecting the Georgian villages from shelling by South Ossetian guerrillas (irregulars), on this night Saakashvili attacked South Ossetia. With his blessing, 12,000 armed men, upgraded with western and Israeli military equipment, were deployed into the breakaway republic. At 22:00 the ceasefire between the Georgian Blue Berets and the Ossetians was broken. The line of the Russian peacekeepers was overrun, and many Blue helmets were killed. The capital of South Ossetia, Tskhinvali, came under fire. The plan of Saakashvili was to drive out the Ossetian population via the Roki tunnel to North Ossetia, one of the Russian republics in the North Caucasus. The Georgians were hoping that the mass exodus of the refugees via the Roki tunnel would prevent the Russian military advancing from the other side. Georgia committed a mistake crucial for the outcome of the war. Obviously, Saakashvili did not expect such a quick reaction from Russia or resistance from the Ossetian partisans, although he was probably informed via satellite about the Russian troop movements in the north. But, at the same time, Putin was at the opening of the Olympic Games in Beijing. Medvedev seemed not to have things under control. Tbilisi believed it would be possible to set a quick precedent in South Ossetia. But Russia has already evacuated several hundred civilians via the Roki tunnel to North Ossetia one week before, a fact of which Saakashvili could not have been aware. The Kremlin found itself in a dilemma: either give up South Ossetia and risk losing power status in the region, or fend off the attack. Twelve hours after the Georgian attack, Moscow sent tanks of the 58th army through the Roki tunnel into Georgia. The main aim of this action was to support the South Ossetian irregulars against the Georgian regular troops. Russia would speak later of an attempted genocide against the Ossetian population. Georgia would accuse Russia of provoking the war, shelling Georgian villages from South Ossetia. Analysts disagreed as to whether Saakashvili fell into a trap set by Moscow or if he decided in favour of a blitzkrieg, expecting support form the West. Both sides had enough reasons to escalate the conflict in such a manner in order to solve their “strategic task” in the region. Around midnight, Georgian troops occupied Tskhinvali. Thousands of civilians fled via the Roki Tunnel (in the opposite direction to the moving Russian tanks) into Russia. According to Russian information sources, during that night almost 2000 civilians became victims of the Georgian aggression. Later, Western sources will argue that the number of victims was far smaller. The international human rights organization, Human Rights Watch, reported that Georgian troops used cluster bombs against the civilian population. The Georgian side asserted that Russian air raids had destroyed Tskhinvali. In any case, the Georgian forces maintained their defence line for some time. 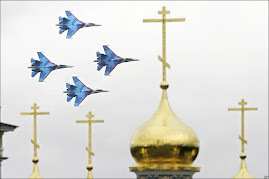 On August 9, Russia brought in its Air Force. According to rumours, Putin threatened Saakashvili, in case of continuing resistance, to bomb Tbilisi. 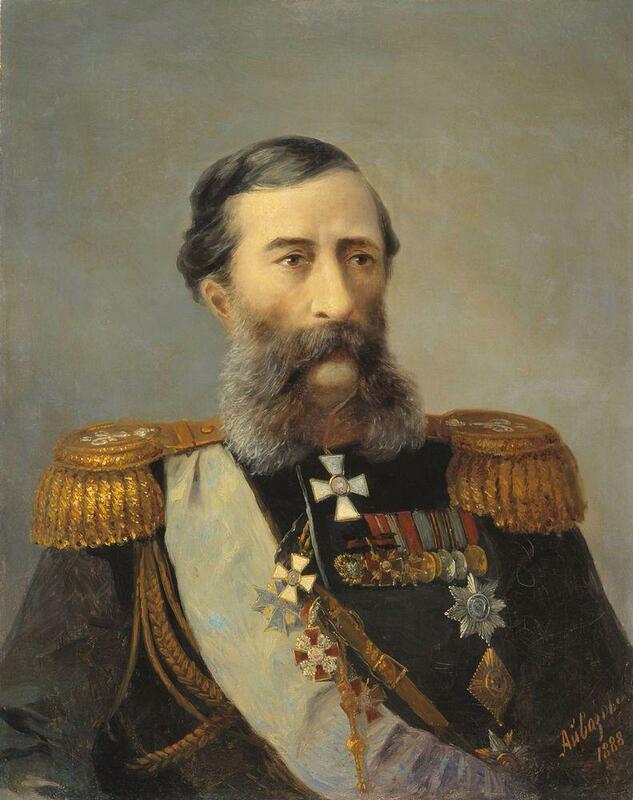 The Russian Navy sailed from Sevastopol in order to control the Abkhazian Coast. No further doubts persisted. The world was witnessing a new war. After many hours of fighting for Tskhinvali and heavy losses on the Georgian side (people talked about 4,000 dead Georgian soldiers), Saakashvili announced the retreat in the afternoon of August 8. His coup had failed. 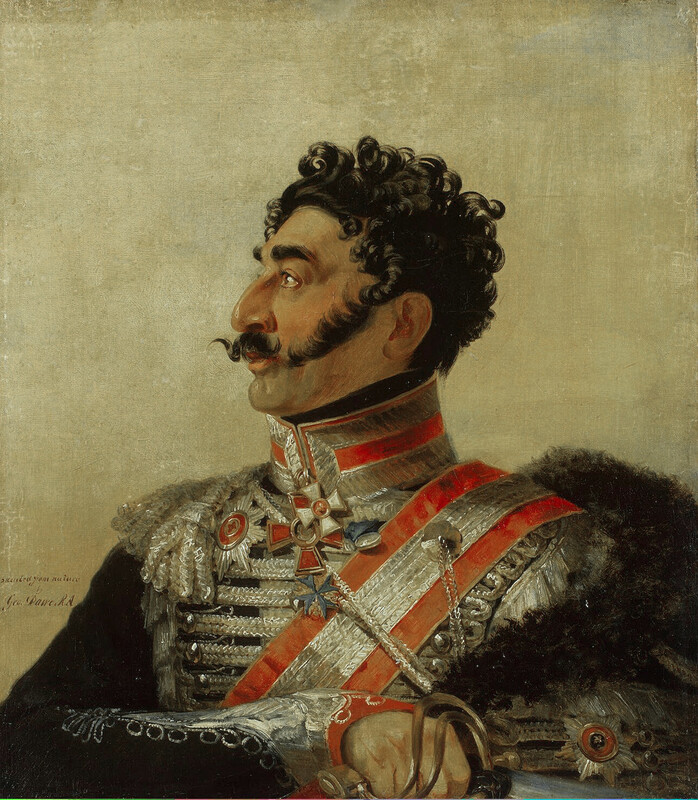 His well-trained and equipped army had underestimated the reaction of the Russians. The biggest part of the Georgian military equipment was destroyed. In a mad rush, Georgia pulled her army back. As a consequence, the Russian troops pushed forward, a step that would be later criticized by western media as disproportionate. The Russian Air Force destroyed within a few hours the major part of the Georgian military infrastructure. The radar tower in Tbilisi, the oil terminal in the port of Poti as well as the military garrison in Gori were bombed. Television pictures of Saakashvili lying on the ground, escaping an imaginary Russian air strike, flashed around the world. In spite of the fact that Georgian air defences were able to shoot down two Russian fighter-bombers, the Russian army already controlled the whole northern part of Georgia by the end of August 10. 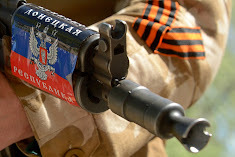 The vanguard of the Russian offensive was formed from special units of former Chechen guerrillas, who had been considered by Moscow only a few years before as terrorists. They seized the Georgian city of Gori under the battle cry “Allah is great”. The Georgian population escaped to the southern parts of Tbilisi. Georgia and Russia accused each other of conducting ethnic cleansing. In the part occupied by Russia, there took place looting by the Ossetian guerrillas, and revenge on the Georgian civilian population. Russia continued to destroy Georgian military installations, justifying it as revenge for the death of the Russian Blue helmets and Russian citizens in the South Ossetia. In reality, Georgia was to be rendered incapable of conducting future attacks against South Ossetia. In addition, Russia wanted to prevent Georgia from becoming a front-line NATO state on its southern doorstep. Suddenly, a second front was opened. The other breakaway republic, Abkhazia, seized the historical opportunity finally to separate from the Georgian heartland. As in South Ossetia, there had been previous skirmishes between Abkhazians and the Georgian military. The Abkhazian separatists kicked the Georgian army units out of their strategic positions in the mountains around Abkhazia. The Russian Black Sea Fleet provided essential protection from naval attacks. 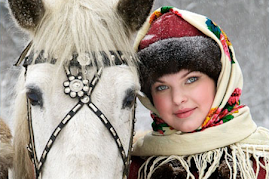 The new Caucasian war ended after only three days. But the real battle in the international media and diplomatic arena was only just beginning. And in this battle Russia seemed to be losing, experiencing difficulties explaining her position and her “truth” concerning the reasons and the course of the war to an angry western public. In the eyes of most Westerners, Georgia was a small choir-boy and Russia the aggressor. The Western media almost exclusively reported on Georgian civilian casualties and damage; only rarely did the fate of the Ossetians get a hearing. On the other hand, people in the west, particularly from former Warsaw Pact countries were reminded of the events of the Russian invasion of Czechoslovakia in 1968 and Afghanistan in 1979. Suddenly, fear spread of a Russian attack on the former Soviet republics. Some Western media stoked the fear by talking about a neo-imperialist Russia. The presidents of Poland, Ukraine and of three Baltic states gathered for a solidarity demonstration for Saakashvili in Tbilisi. They wanted to help their ally to rewrite history and to present Russia as the single aggressor in this conflict. The United States supported this anti-Russian rhetoric and castigated the “imperialist war against Georgia” by Moscow. Between the U.S. and Poland the long-pending agreement on the stationing of a missile defence systems was signed. At the signing ceremony, it was made clear that this defence system was not only pointed against states like Iran. Moscow was expected to understand the message. Due to American pressure, the NATO-Russia Council was put on ice. Meanwhile, the EU Council and the French president, Nicolas Sarkozy, hurried to Moscow to prepare a ceasefire and a peace agreement. But just before Sarkozy arrived in Moscow, president Medvedev declared an end to the military operation against Georgia. The course of the negotiations between the EU and Russia was extremely complicated. Russia refused to recognize in the Peace Treaty the sovereignty of the Georgian state, including two breakaway republics. 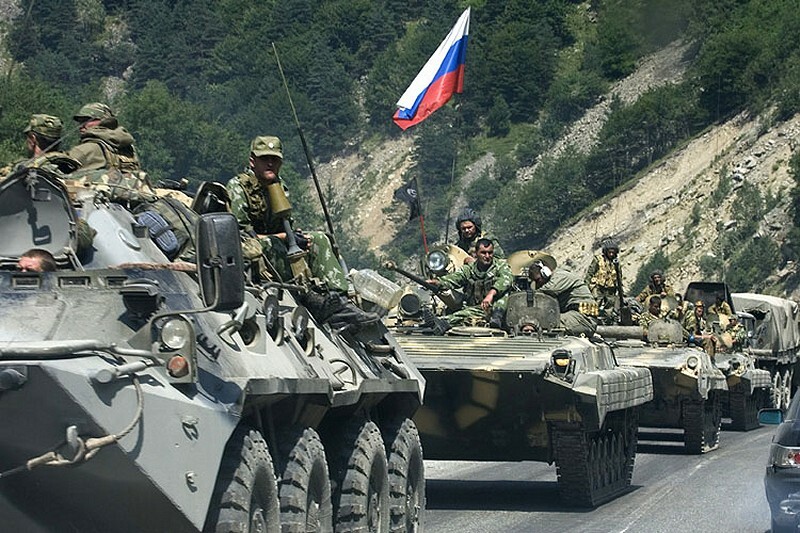 Medvedev also demanded the recognition of a “protected zone” for the Russian Peace troops along the border between Abkhazia/South Ossetia and the Georgian heartland. Sarkozy, who wanted to stop the war as soon as possible, gave his approval. How wide this buffer zone within Georgian heartland should be was not a subject of the negotiations. The French spoke later about “a few kilometres”, where the Russian Blue helmets are allowed. Russia expanded this zone unabashedly almost upto the Black Sea coast. After the war, it became impossible to force the Abkhazians and the Ossetians to rejoin Georgia, either in the short or medium term. 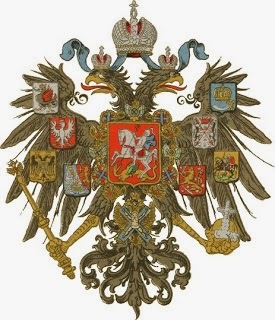 However, for the West the recognition of the state sovereignty of the breakaway republics was out of question, especially, after such blatant International Law violations by Moscow. The French foreign minister referred to the war as a return to the middle Ages. The astonishment of the international community was, however, incomprehensible. The conflict had been there for all to see. But the EU seemed to be always taken by surprise by events in Eastern Europe. The attention of the EU was only fixed on the colour revolutions in Georgia and Ukraine, on the gas dispute between Ukraine and Russia, as well as on Russia resuming a position of power. Obviously, the Western community had prematurely put the disintegration of the Soviet Union on the shelf. The post-Soviet states and regimes often evolved (with western participation) into fragile states. Numerous territorial and ethnic conflicts still persisted in a frozen state. In the Caucasus alone many of these potential conflicts came to the fore. Some reasons for these latent conflicts across the post-Soviet space were caused by the transitional process of the 90s as well as by external geopolitical factors. One of the conflict issues was the expansion of NATO, supported by the United States, to the Black Sea Region and competition for the raw material reserves of the Caspian Sea. Foreign observers debate why the war broke out when it did? Experts of all camps try to interpret the dynamic of the events and to develop different explanations of the conflict. The central question is who has started the war? Saakashvili denies having ordered the attack on Tskinvali. Russia claims the opposite. In an interview for CNN, Putin blamed conservative circles in America for having an interest in provoking the war. Putin underlined that it was done in order to improve the chances of the ex-presidential candidate of the Republican Party John McCain, who refers to Moscow as the new imperialist aggressor. Also the disaster of the Iraq war needed to be cloaked in a shroud. President Bush, on his way out of office, desperately needed a success in foreign policy in order not to be painted by history as a complete loser. His Secretary of State, Condoleezza Rice, was fighting like a lioness to improve the diplomatic legacy of the Bush administration. A legitimate question is whether the numerous American and Israeli advisors of Saakashvili knew about his planned attack? According to the newspapers “Frankfurter Allgemeine Zeitung” and “Moscow Times”, the United States gave Georgia in the preceding five years 200 million dollars as military aid. Additionally the Georgian army received 100 Mio U.S. dollars from Turkey; Israel provided Georgia with a modern air force. 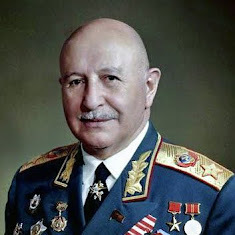 With regard to precision weapons, night vision devices and modern communication equipment, the Georgian army was better equipped than the Russian before the conflict. 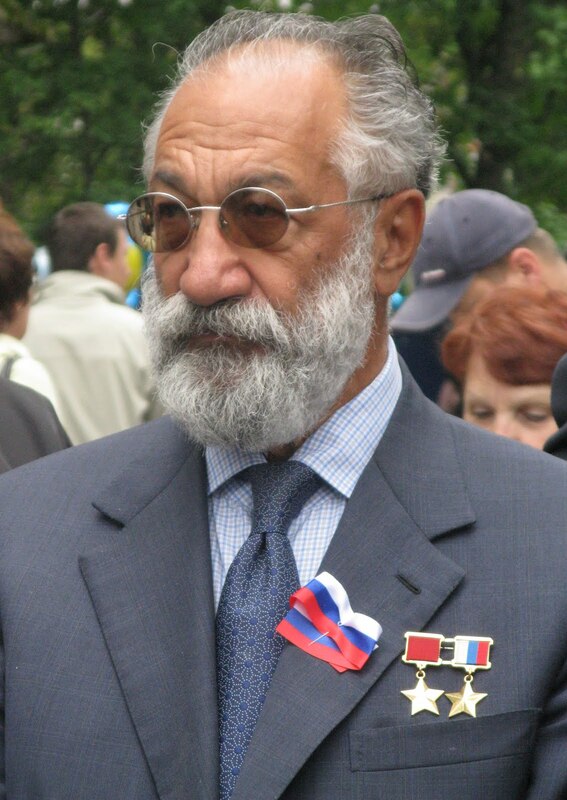 According to one version, American consultants of Saakashvili advised him against the attack on South Ossetia but failed to persuade their political pupil. Supposedly, Russia successfully also used the aggression of the hot headed Saakashvili to achieve other strategic objectives in the geopolitically sensitive region. First of all, it weakened the role of Georgia as an exclusive transit corridor for oil and gas from the Caspian Sea, by-passing Russia. As long as Iran is demonised as a rogue state by the United States and remains isolated, the transport of the energy sources from Central Asia and Azerbaijan, by-passing Russia, is manageable only via the territory of Georgia. At the end of the 90s, the former Soviet oil pipeline had been reactivated from Baku to the Georgian Black Sea coast. In the middle of this decade, a second pipeline from Baku via Georgia to the Turkish Mediterranean port of Ceyhan has been laid. Both pipelines brought to an end the Russian monopoly for oil transport to the West. Secondly, the war destroyed the chances of Georgia entering NATO. If it turns out that Saakashvili really planned the attack on South Ossetia and a quick reunification with the breakaway republics to increase his membership chances, the doors to the western military alliance will stay closed for him. As is well-known, NATO accepts only territorially consolidated states into its ranks. NATO does not want to interfere into the territorial or ethnic conflicts in a candidate country, primarily in order to avoid any possibility of a World War. However, President Bush promised Saakashvili NATO membership in the nearest future. Did the head of the Georgian state just want to use this “window of opportunity” in the last month of the George Bush presidency to utilise the conflict to slip into NATO via the back door? It is an incredible but coherent hypothesis. Thirdly, Russia’s reaction was revenge for all the humiliations at the hands of the West after the Soviet Union disintegrated. On this hypothesis, Georgia paid for Kosovo, for three NATO expansions to the East, for the U.S missile defence system and for much more. Therefore, according to the Russian point of view, the unilateral recognition of Abkhazia and South Osssetia is coherent. After all, it was the West which reconstructed the Balkans according to its own preference and breached international law into the bargain. At that time, Russia had no other choice than to watch it happening. But, Putin and Medvedev turned the tables and played the same card. Now, the West is watching Moscow arranging the Caucasus according to its own preference, even if it is breaching international law in doing so. Russia’s changed attitude is of course problematic. Till now, Moscow insisted that existing international law should be based on the fundamental principle of the territorial sovereignty of a state. This argument Moscow deploys in its fight against Chechen separatists. The preservation of Russia as a state stands above the question of human rights. The same argument Russia used in her critique of the recognition of the Serbian province of Kosovo by the West. The Serbian president, Slobodan Milosevic, had the right from the Russia’s point of view, to fight with Albanian terrorism on his own territory. But now, in the case of Abkhazia and South Ossetia, Moscow has quickly adopted the Western argument. Moscow argues that the protection of human rights in South Ossetia takes priority over the principle of the state sovereignty of Georgia. But it is not only Russia which has problems with justification. Suddenly, the West interpreted the conflict in Georgia against its own principles, principles which not long before were so vehemently defended in the case of Kosovo. Everyone bends international law to suit vested interests. The new EU and NATO member states are convinced they are right. They have always warned of a new imperialist Russia and referred to the reconciliation policy of the “old Europeans” towards Russia as naïve and strategically wrong. Although this position was supported by the Bush administration, in Europe, nevertheless, the collective prevails. 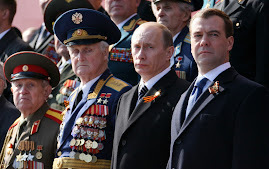 How should Russia punished as demanded by Poland and the Baltic States? Should Western universities kick out all Russian students as the president of Estonia proposed? Or, as in the case of Belarus, should the West impose a travel ban on Russian politicians? Should the EU freeze the bank accounts of the Russian oligarchs, such as the president of Chelsea football club, Roman Abramovich? In any case, the “new Europeans” demand that NATO and the EU expand control instruments against Russia. 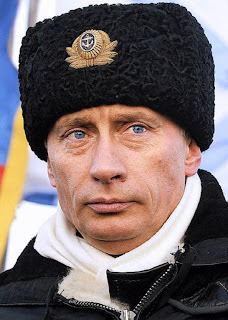 There is a “Cold War” reappearing on the direct borders between EU and Russia. The call for the immediate inclusion of Georgia and Ukraine into NATO is getting louder and louder. Sometimes it seems that the recent members of the Warsaw Pact want to prevent the historical reunification of the whole European continent, including Russia. For the Eastern Europeans, Russia in all respects will always be the aggressor. The people there are convinced that, if the West does nothing, Russia could soon invade the Crimea and the Baltic states. There is no doubt in Warsaw, Tallinn and Riga that the conflict in Georgia is only the beginning of a Russian offensive violently to restore its lost empire. In reality, the West is helpless and powerless. Firstly, the West is deeply split on the Russian question. Germany, France and other states cannot unilaterally take the side of Georgia in order to stay credible in the conflict, especially when Saakashvili`s responsibility causing the conflict is there for all to see. Within the EU two extreme positions are colliding with each other. The Italians, led by Putin’s friend, Silvio Berlusconi, call for avoiding any condemnation of Russia and simply getting back to everyday problems. The Poles present the toughest position and bring in their old agenda of energy and NATO back into the discussion. Suddenly, everybody is talking about a new “Berlin Wall” which should be built around the Caucasus in order to prevent new aggression from Russian Imperialism. The German and French call upon all sides in the Georgian conflict to compromise. The Cold War rhetoric is obnoxious. At an extraordinary summit on September 1st, 2008 the EU finally decided against sanctions against Russia and gave Moscow tree months to withdraw the rest of the troops form the Georgian core land. The West needs Moscow´s cooperation on the Iranian question, in the Middle East, in climate protection, on the issues of non-proliferation of weapons of mass destruction, and finally in space-exploration. For security reasons, the EU has postponed the hasty inclusion of Georgia and Ukraine into NATO. After Saakshvili provoked the conflict with Russia, the immediate acceptance of Georgia into NATO would be a signal for others to start new conflicts with Moscow in order to follow the Georgian way into NATO. However, the EU has broken off the Partnership and Cooperation Agreement with Russia for the time being. Objectively, this fact cannot damage Moscow so much. Russia is not interested in a relationship with the EU on the basis of those outdated rules. Russia feels strong again and superior to the Europeans, at least militarily and partly economically. The influential industrial lobbies in the countries of the “old EU”, most notably Germany and Italy, but also France, Spain, Belgium, Netherlands, Austria advise their governments not to get into confrontation with Moscow. The economic links with Russia are so advanced now that, in the case of indiscriminate sanctions against Moscow, the West will cut off its own nose. One should just examine the trade volumes of the individual EU countries with Russia to realize that the big western companies make use of all segments of the Russian market today. Russia produces very little in her own country. Starting from machinery, industrial technologies, food products, luxury goods and, not least, financial credits are all imported form the West. Thousands of jobs in Germany and other EU countries are directly dependent on the growing Russian market. The dialogue channels to Moscow should not be closed; on the other hand, Russia must be persuaded to leave Georgian territories. First, the EU tries to be active and to raise money for the reconstruction of Georgia. What should a concrete plan for Georgia look like? Neither breakaway province can be forced to join Georgia again, just as Kosovo Albanians could not be part of Serbia anymore. But the West should also not accept the Russian annexation, because it can only awaken the further appetite of Russia, for example, for the Crimea. Could a confederation be a golden solution for the Georgian problems? Three states in one, as in the case of Bosnia and Herzegovina? Had the odd EU enough power in foreign policy to be able to help stabilize the South Caucasus, such a Stability Pact might have been developed years ago. The Europeans lack the will to realise this plan. Recently, the EU, under the leadership of Germany, launched a Central Asia initiative. Should it be now revisited for the South Caucasus? On the other hand, the EU would have to divert significant resources from the Balkans in order to stabilize the Caucasus. 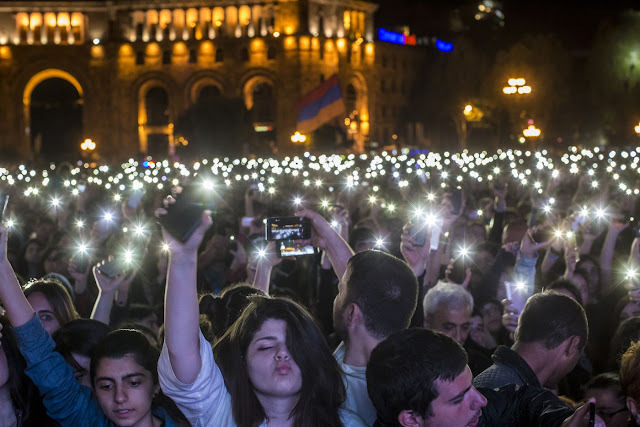 Along with setting up social and economic infrastructures in Georgia, the EU could make an important contribution to the strengthening of the democratic and constitutional institutions in the Caucasian republic. Instead of an accretion to NATO, the EU should offer Georgia the perspective of EU entry. The Georgian accession to the EU could be realised only if Turkey also received membership in the European economics and community values. The Stability Pact should also take into consideration the other conflict zones in the region. The frozen conflict in Nagorno-Karabakh could develop into the next major conflict in the tinderbox of the Caucasus. Just as Saakashvili equipped his army in order to fight the breakaway provinces of Abkhazia and South Ossetia, the Azeri leader Ilham Aliev considers it to be his patriotic duty to drive from this territory away even by force the Armenians who conquered the Azeri province of Nagorno-Karabakh 15 years ago. The target policy of the EU towards South Caucasus should also be to bring out a historic reconciliation between Turkey and Armenia. The still-closed border between Turkey and Armenia is an obstacle for the European security and defence policy in the region, which could be part of Europe one day. 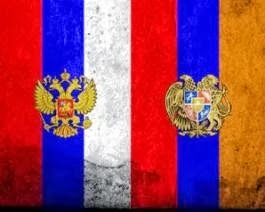 Moscow should have placed the emergency over the sovereignty of both provinces within the hands of international law. In order to consider this independence legal, one should have carried out local referendums, as well as the internalization of the conflict, by the construction of OSCE and UN monitoring bodies. The presence of international peacekeeping forces is also required. There are few appropriate models, but there are the precedents already applied in the Balkan conflict. The Russian side has the following explanation: Georgia with the support of the USA plans new attacks on the breakaway republics. These last two could be defended only with Russian military support. 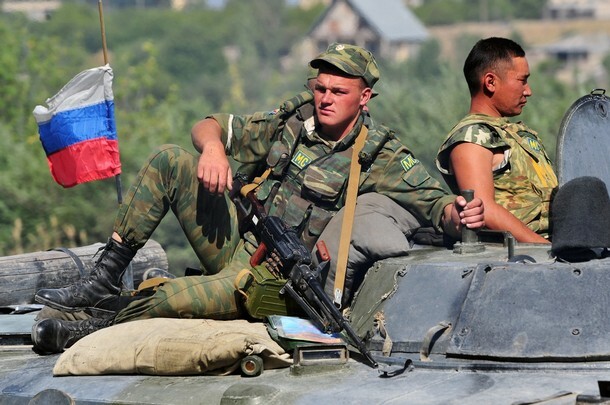 The Russian peacekeeping troops are not enough to act as a deterrent. Putin also points to the presence of American warships cruising along the eastern Black sea coast. Perhaps, it would be advisable for the West to start negotiations with Medvedev and Putin about a new OSCE, as was done before with the Soviets, and to establish coexistence with Russia on the continent on the basis of a set of common purposes. Hence, Medvedev’s proposal to work together with the EU, envisaging a collective construction of Europe, is quite realistic. Even if the West fights against giving Russia a voice or a right of veto in the construction of 21st century Europe, it will take some years, but, afterwards, the idea of Russian membership of NATO will win more and more supporters among the Russian and Western politicians. NATO expansion to the East is the biggest obstacle in the relationship between Russia and the West. The West is only partly right, when it proclaims that each country has a right to join any military alliance and Moscow cannot prevent it. However, one of the main principles of the European policy after the Cold war is that the security of one state cannot be ensured at the expense of the safety of another. NATO can hardly ignore the fact that Russia feels threatened when there is Western military infrastructure directly on her borders. The today NATO can theoretically in the next few years integrate all the former Warsaw Pact countries as well as new independent states on post-Soviet territory. NATO partnerships with all these countries have existed for two decades. But Russia also needs a membership perspective, even if it will be never realized. The invitation for Russia to join NATO will help to reduce potential conflicts between her and other potential candidates. As a start, integration could be stared with cooperation on missile defence. This defence system should protect not only America and Poland, but also the West and Russia together. The latest Caucasian cycle of presidential visits to the South Caucasus ended 2-3 September. During those days Dmitriy Medvedev visited Baku, capital of Azerbaijan. And although this visit of his was of significance in its own right (determining the prospects for Russian-Azerbaijani bilateral relations), it is expedient to analyze its results in a comparative context, bearing in mind the results of the Russian head of state's Yerevan trip (19-20 August this year). It cannot be said that the Russian president's latest Armenian-Azerbaijani cycle brought revolutionary changes to the South Caucasus. However, some bright touches were added to the new geopolitical landscape. Combining Dmitriy Medvedev's two visits into a single Caucasian cycle does not seem to us to be a mere journalistic metaphor. There are several reasons for this. And they are not only and indeed not chiefly to do with Armenia and Azerbaijan. After August 2008 Russia and Georgia diverged to opposite sides of the barricades. It could of course be said that in the conditions of the 21st century the total isolation of two countries from each other is impossible (and more important, unreal). However, the fact remains that despite the preservation (and even consolidation) of Russian business positions in Georgia, political contacts between the two countries amount merely to the Geneva talks format, enabling each of the two diplomatic communities to monitor the other side's position from time to time. 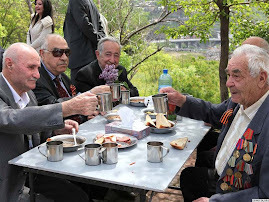 If, indeed, you do not count visits by (celebrity) Kseniya Sobchak or Mikhail Gorbachev (accompanied by other influential retirees) as serious political contacts. 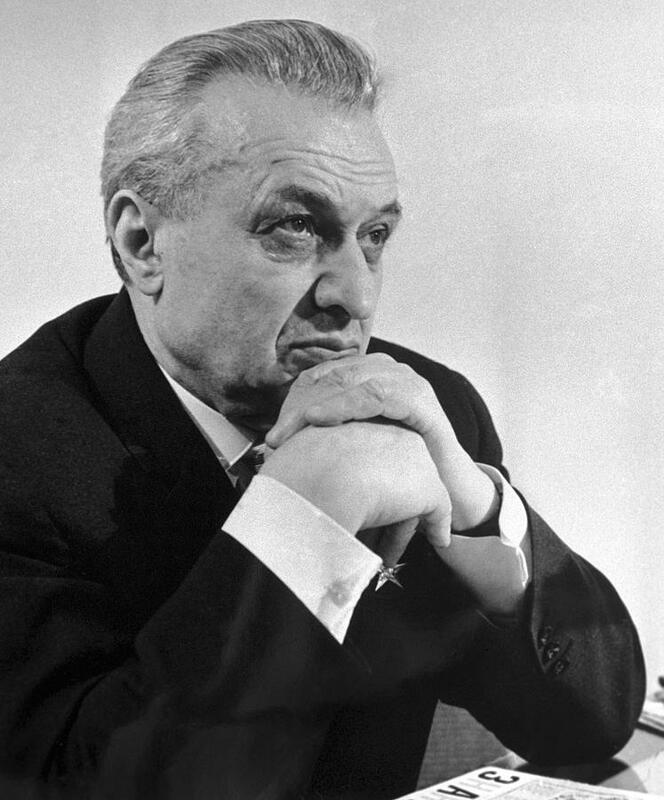 Incidentally, the visits to Moscow by (former Georgian Prime Minister) Zurab Nogaideli and (former parliament speaker) Nino Burjanadze can also hardly be perceived as anything other than PR operations. On 26 August 2008, by recognizing Abkhazia and South Ossetia, Moscow made its choice concerning the prospects for relations with Georgia. However, there are finer points here. Tbilisi made its choice four years earlier by beginning to "unfreeze the conflicts." Be that as it may, Moscow has no serious levers of influence on Georgia. And none can be foreseen in the immediate future. In military terms Russia's potential is many times greater than Georgia's, but it is not Moscow's aim to annihilate Georgia's "sovereign democracy." And indeed the realization of this idea would encounter more serious resistance from the key world players than was the case two years ago. At the same time it is extremely important for the Russian Federation to preserve its influence in the South Caucasus, in view of the multifaceted links between that part of the region and the North Caucasus. Hence the heightened attention paid to contacts with Yerevan and Baku. The loss of one of these partners would have serious consequences for Russia, since in that event two out of the three entities recognized by the world community would be following an anti-Russian (at the very least, none too benevolent) course. But the snag is that Russia's two potential partners in the Caucasus are in a relationship of confrontation with each other. And although war has not been formally declared between them, there are no diplomatic relations and the Karabakh conflict is perceived in both Armenia and Azerbaijan as a military-political standoff, and moreover one that has key significance for the two states' political identities. Nagorno-Karabakh, to use images from the Middle East story, is not the "Territories" or the "Strip." It is Jerusalem. And the conflicting sides are not only conducting a regional arms race and information warfare but a fierce struggle for external support. 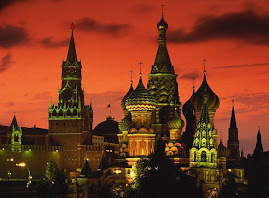 In this respect Moscow is a very important resource for both Baku and Yerevan. 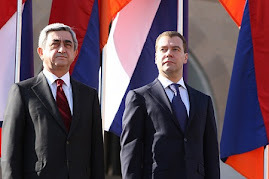 It is therefore no accident that in the summer of 2010 both Armenian and Azerbaijani political experts were in no hurry to comment on the August accords between Moscow and Yerevan, preferring to wait for September' s signals from Dmitriy Medvedev in Baku. Thus, Russian diplomacy faces a difficult task -- not to allow itself to be drawn into this race and not to turn into a player in this confrontation. We have seen that it is not uncommon for strong powers to become dogs wagged by the tail -- we have seen it in the case of Russia with Chechnya, Abkhazia, and South Ossetia, and also in the story of American-Georgian relations and relations between Washington and Pristina. 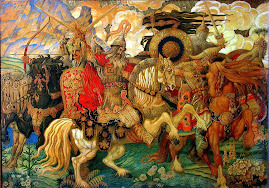 Medvedev's new Caucasus cycle has shown that, thus far, Moscow is succeeding in solving this dialectical puzzle. At the beginning of September 2010 the Armenian-Azerbaijani geopolitical scales were balanced. I immediately foresee objections. 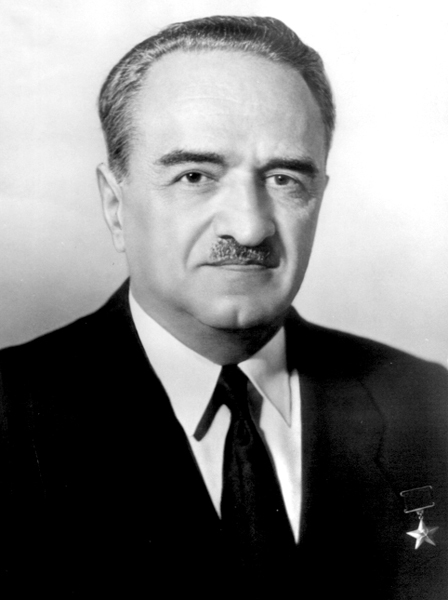 Moscow prolonged the presence of its based on Armenian territory (thereby sending a signal to Baku that a violent solution is not acceptable to it), while Azerbaijan did not receive any tangible military-political "carrots." It cannot be 100% ruled out that something like that will appear, in order to bring the scales into balance. 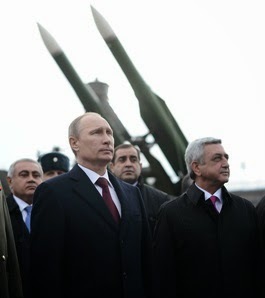 However, no such thing has emerged from the results of the Russian leader's visit to Baku. For our part we consider this line of argument superficial. In September 2010 Azerbaijan gained something that is no less important than tanks and guns. For the first time in its post-Soviet history it resolved the problem of delimitation and demarcation of the border with a neighboring state. This problem has not yet been resolved with any of the other neighboring countries. With Armenia, Azerbaijan has not so much a border as a front line. And even the Nakhichevan sector, which is much quieter than the "line of contact" in Nagorno-Karabakh, is closed and resembles a bristling border. In the course of the Nagorno-Karabakh conflict Armenian forces, occupying five districts neighboring on Karabakh entirely and two partially, took control of the former USSR border with Iran on the River Araks. And despite the positive trend in relations between Tehran and Baku the border between these two countries is a serious headache for Azerbaijani politicians (taking into account the growing ambitions of the Islamic Republic as a regional superpower). Relations between Georgia and Azerbaijan are reminiscent of a "honeymoon," but the position of ethnic Azerbaijanis in Kvemo Kartli also creates considerable problems in bilateral relations between Baku and Tbilisi. As for the sea border that Azerbaijan shares with Turkmenistan in the Caspian, here too everything is very confused. For years now the two republics have been arguing about the oil and gas deposits in the Caspian Sea. In the summer of 2009 official Ashgabat even announced its intention of appealing to the International Court of Arbitration to uphold its rights to disputed fields. The problem of delimitation and demarcation with Russia was also difficult to resolve. Talks on defining the 390-km state border had been going on for years, but in 14 years (beginning in 1996) the question had not found a positive solution. From time to time the sides clashed over the problem of dividing the water resources of the River Samur. There was discussion of the legal status of the border villages of Khrakhob and Uryanob. In 1954 these two villages in Azerbaijan's Khachmazskiy Rayon were temporarily transferred to the Dagestani ASSR (Autonomous Soviet Socialist Republic) as pasture land, and 30 years later the Council of Ministers of the Azerbaijani SSR (Soviet Socialist Republic) extended the term of the previous document by a further 20 years (to 2004). The breakup of the USSR led to major adjustments to the economic plans of the "party and government." The situation was made more acute by the fact that the inhabitants were ethnic Lezgins, who also inhabit Dagestan. By the beginning of the 2000s many of them had acquired Russian passports. After August 2008 there was much speculation in the media on the subject of a repetition of the South Ossetian story in Azerbaijan. Today all this idle theorizi ng and speculation is left to the historians. 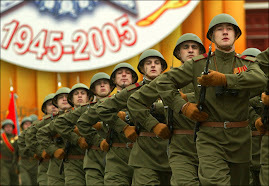 Russia has become the first country after the breakup of the Soviet Union to sign a treaty with Azerbaijan on borders. The presence in the Russian delegation of important officials responsible for administration in the North Caucasus (Aleksandr Khloponin, Yunus-Bek Yevkurov) indicates that Moscow is also positioning the agreement with Baku as being advantageous to itself. The Dagestan sector of the Russian border today requires serious (and more importantly, effective) cooperation with the southern neighbor. But what did Moscow demand in exchange? Not very much, in fact. It is more a question of rhetoric. The Russian president, while in Baku, stated that he personally (and Russian diplomacy in implementation of the state's position) is interested in the peaceful resolution of the Karabakh conflict. 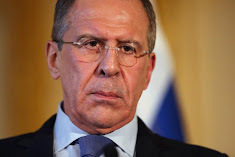 Moscow is prepared to continue to perform a mediation mission to seek compromise solutions. The signal has been sent, so to speak. Following on from the Yerevan protocol, the Kremlin is trying to draw the attention of its Azerbaijani partners to the fact that the Russian Federation is interested in any solution to the conflict except a military one. But is Russia capable of fully controlling its interests? The answer to that question would most likely be negative. Undoubtedly some hot heads (both in Baku and in Yerevan) will be cooled by Moscow's position. But then other considerations come into force, which even the staunchest admirers of the Kremlin in Armenia and Azerbaijan cannot ignore. Any Caucasian leader must resort to "patriotic rhetoric" in order to maintain his legitimacy. This becomes particularly relevant on the eve of elections (in Azerbaijan the parliamentary campaign is already gathering pace). Therefore a resumption of military rhetoric cannot be ruled out. And this is not because politicians in Baku are more bloodthirsty. The loss of Karabakh is a national trauma that nobody is yet prepared to heal. And mentioning it makes it possible to maintain one's popularity. Thus, Russia's role in both Azerbaijan and Armenia should not be overestimated. However, the fact that Moscow is trying to play on several boards at once and attempting to pursue a balanced and pragmatic policy must be gratifying. Particularly in the context of other none too successful initiatives. It would be good if an awareness of geopolitical diversity as a necessary component of foreign policy would also penetrate other segments of Russian diplomacy. Gas is a geopolitical instrument now, so the purpose of a higher gas price for Turkey may be to remind the country of something, Alexander Rar, a European energy expert for CIS, stated in his interview with 1news.az, commenting on the rise in the price for Azerbaijani gas supplied to Turkey. “The gas price always has political implications, especially when each one seeks its ‘niche’ in a pipe,” Rar said. As regards the Nabucco project, the expert said it has been stalemated, “as Russia has been able to successfully persuade a number of Balkan states into joining the South Stream project.” Rar pointed out that Turkey and Russia are successfully negotiating the South Stream project, the Ukrainian leadership has undergone changes as well, so “this transport corridor is getting interesting.” According to the expert, hardly any gas is available for Nabucco – Turkmenistan sells its gas either to Russia or to China, so it is only Azerbaijan, which is selling a great amount of gas to Russia and Iran, that can supply gas to the Nabucco pipeline. 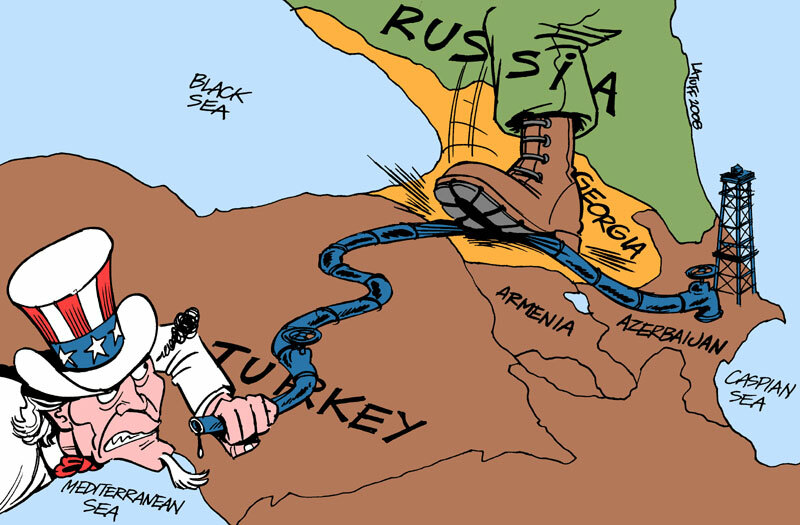 “The West hopes that the Nabucco pipeline can be filled with Iranian gas. But the situation is not stable there, and it remains to be seen whether a sufficient amount of gas will be supplied to the European market. But this is the only chance for Nabucco,” Rar said. Russia and Georgia have reopened a border crossing that has been closed since July 2006, officials say, reports BBC. The Verkhny Lars crossing - situated on a narrow mountain pass high in the Caucasus mountains - was closed by Russia amid deteriorating relations. It is the only crossing that does not go through the Russian-backed breakaway regions of Abkhazia and South Ossetia. 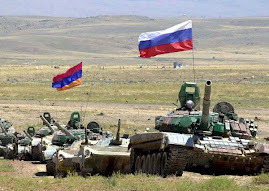 Georgian forces were driven out of the two regions in a bitter war with Russia in August 2008. Diplomatic relations between the two have not been restored since the war. The agreement to open the crossing came after a request from landlocked Armenia. The crossing was once an important point on a vital trade route, says the BBC's Tom Esslemont at the border. Now that it is open again it brings Georgia and Russia physically closer, but not politically, our correspondent adds. Georgia says the opening does not signify a warming of ties between the two countries. Georgian export goods are still under a Russian embargo. Relations between the Georgian and Russian leaders, meanwhile, remain sharply antagonistic. If this unceremonious opening is of benefit to anyone it is to Georgia's neighbour Armenia, which is landlocked and whose economy is suffering one of the sharpest declines in growth in the former Soviet Union.